Welcome to the second edition of our regular feature talking to our clients to find out about their experiences of business, good and bad, and any advice they might have for other business leaders and owners. 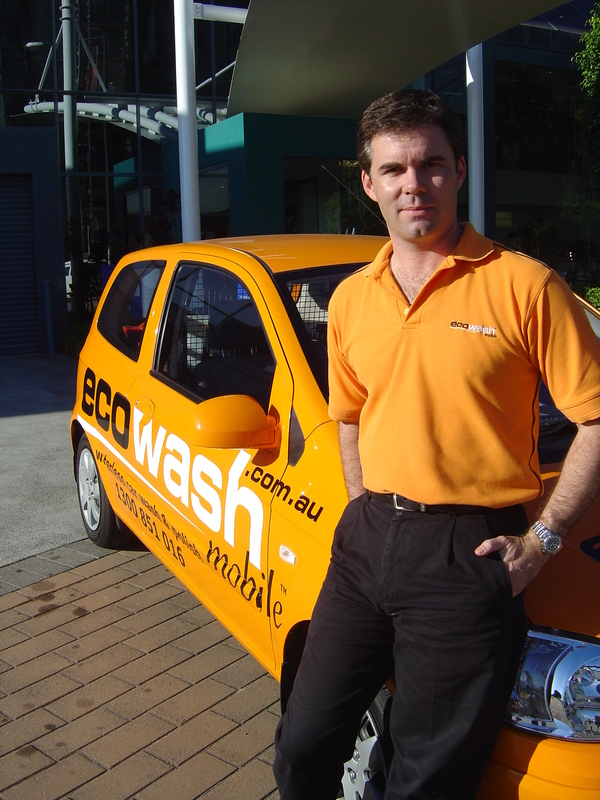 Pitch your company and what it does in a sentence: Nanotek (formerly ecowash mobile) is the world’s no.1 mobile waterless car washing franchise system. Utilising liquid polymer nanotechnology Nanotek provides unmatched quality and convenience. How did you get to where you are now? By learning from all our experiences (good and bad) and continually moving not only industry goal posts but our own – we are constantly refining and developing our system (hence the change to Nanotek). What has been your worst moment in business so far? Before Nanotek as a Marketing Director of a Multinational Organisation, I watched 10 people get retrenched without notice – it made me appreciate the fragility and insecurity of employment and inspired my passion for personal business ownership. What has been your best moment in business so far? Most recently our launch in Russia, but any time I see one of our mobile units in a new market it is an incredible sensation. Have you had any business mentors and what did they teach you? My father, who taught me that clear principles and integrity provide the foundation necessary from which to make sustainable decisions. How does PR help your business/ why is it important to you? PR tells a story – it gives third person insights and perspectives which are beyond the scope of corporate derived advertising. Advertising creates brand awareness, but PR is far more effective in positioning and developing the personality of a brand. Why do you work with Ignite PR & Marketing? Barrett and Trina are great – very responsive with a thorough understanding of the franchising segment. It is great to be able to confidently outsource such a critical element of our business and know it will be done right.